This week on Helping Hand, join HPR All Things Considered Host Dave Lawrence for a conversation about the annual Ready to Learn program with Helping Hands Hawaii CEO and President Jan Harada. Jan explains that with half of all public school students in the Aloha State coming from households eligible for government-sponsored free lunches at school, the need is great. The school supply drive runs through July 31, giving low-income and houseless students free basic educational tools. 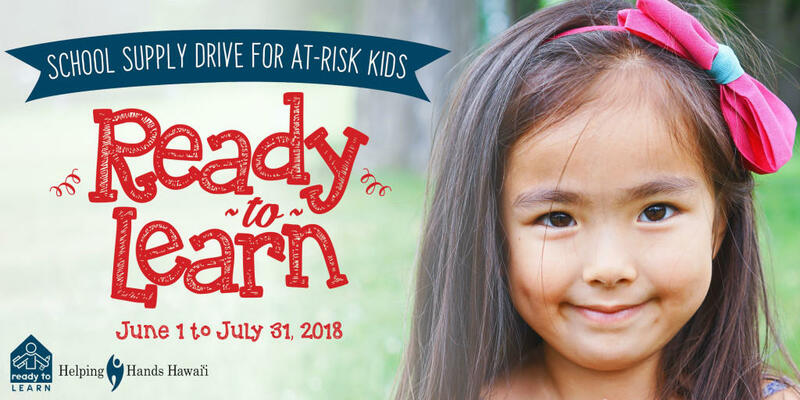 American Savings Bank will collect school supplies and monetary donations from June 11 to July 11 at branches statewide, and people can donate at the Helping Hands Hawaii location and online. Helping Hand is a weekly feature airing statewide on HPR1 stations each Friday as part of our afternoon drive broadcast of All Things Considered, and then appearing online here, where all of our Helping Hand segments and resources are archived online. Helping Hand puts the spotlight on an organization, topic or event that offers assistance to people with disabilities and others among the most vulnerable. What Type of Supplies Are Needed? Or a $10.00 donation can purchase the supplies needed to create one school supply kit for a child in need.